After a whole year of recording down bits and bobs of my grandmother’s stories, I am a little sad to announce the end of the series. ‘My grandma’s stories’ documents Ah Ma’s, a name my family members call her, lifetime worth of experiences, If you are interested to read previous stories, scroll down to the bottom for links to individual posts In this final entry, I would like to share some personal memories of Ah Ma, who spent her twilight years bringing my siblings and I up. “Even if I die, I do not want my ashes to be placed right beside him,” grandma said calmly of grandpa, a man whom she was destined to marry since being sold to his family at a tender age. My grandparents got married in the postwar year of 1947 (Click here for my previous blog post about their marriage) and about two decades later, family life took a turn when grandpa became mentally unstable. His acts became increasingly incomprehensible where he would at times buy baskets of vegetables like eggplants and spinach only to leave them in a room at home to rot. I grew up having never met grandpa before nor saw a single picture of him. In my mind, the image of grandpa is simply a blank slate. So it came as a rude shock to hear from grandma about his insanity, the beatings and her unforgiving anger. 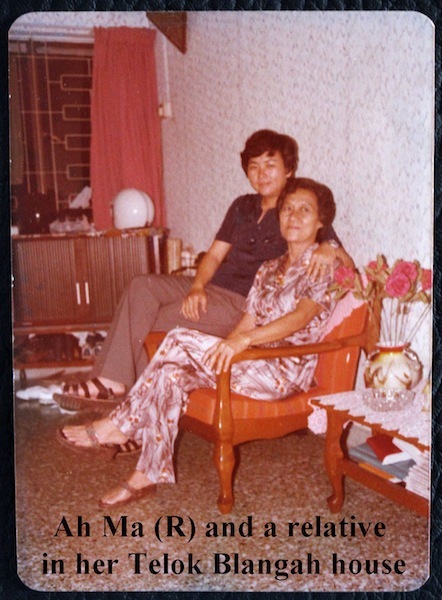 (This is part nine of an ongoing series recounting my grandma’s stories about her life and the old days in Singapore. For past entries, links could be found at the end of the post.) Grandma recalled with a sense of excitement the first time she laid her hands on the pair of keys to her first home. It was a two-bedroom, corner apartment on the 11th floor in Telok Blangah, southwestern part of Singapore. “I was excited to finally get my own place which is registered under my own name even though there was barely anything in the house apart from water and electricity,” she said. Ah Ma scrapped together $3000 (USD 2,440) from her threadbare savings to pay for the housing deposit, but with three children in tow, she had little money left to furnish her Spartan flat. “Many ghosts that come out of Hades during the Hungry Ghost Festival are hungry and miserable spirits roaming the streets for food. Misfortunes might befall upon you should you bump into the fierce and hungry ones. The way around it is to burn more money and prepare food for them in hope they will leave you alone,” grandma explained. The Hungry Ghost Festival or yu lan festival, held during the seventh month of the Chinese lunar calendar, has gradually evolved from the past to today in Singapore and Malaysia as culturally interesting events. 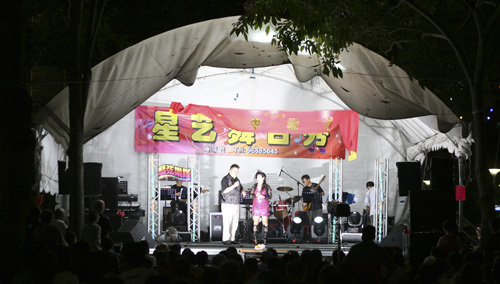 One of the highlights would have to be the free entertainment that could be found almost everywhere around the island every day of the week for the seventh month. Every seventh month of the Chinese lunar calendar, the belief is that the doors of Hades would open for ghosts to wander back on earth. Many of them have suffered in hell where they starved for months making it necessary to feed them with offerings to ward off any evil, hungry spirits. 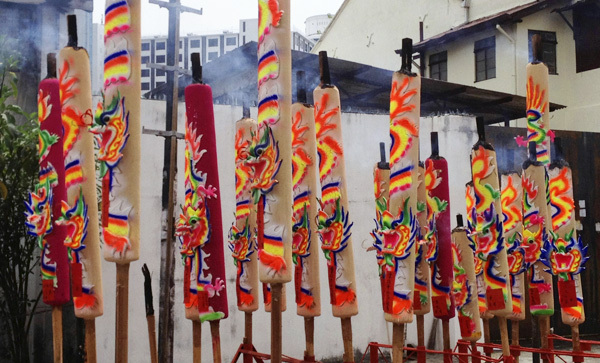 Though widely consecrated amongst the Chinese diaspora, the month-long Yu Lan festival, as it is also known, in Singapore and Malaysia tends to be loud, garish and colorful events. 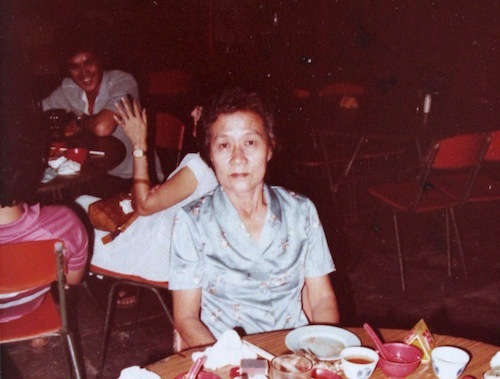 This post would be split into two parts, published at the start and end of the week, where Ah Ma and my mum would discuss about the evolution of this festival.